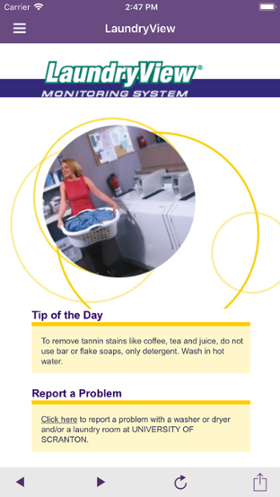 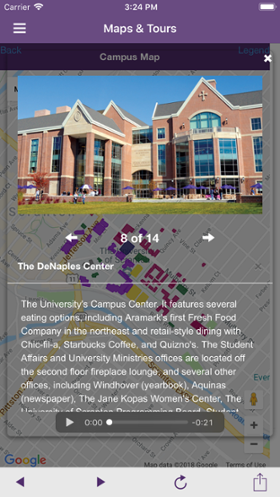 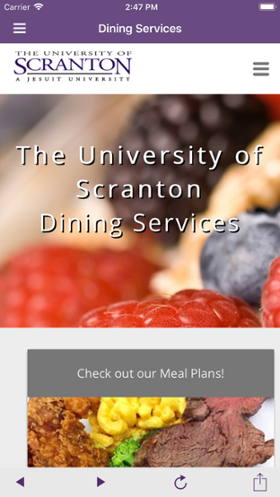 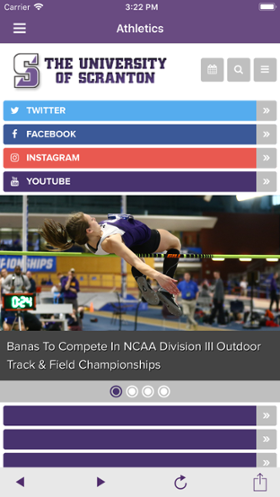 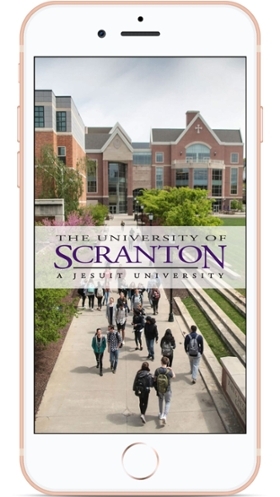 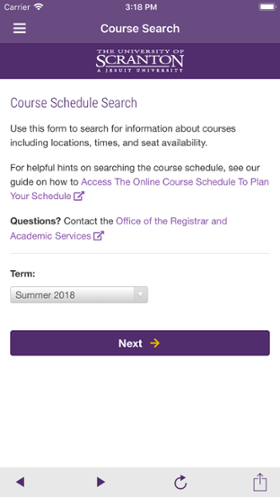 Thanks to the Scranton app, you can keep in touch with The University of Scranton wherever you go. 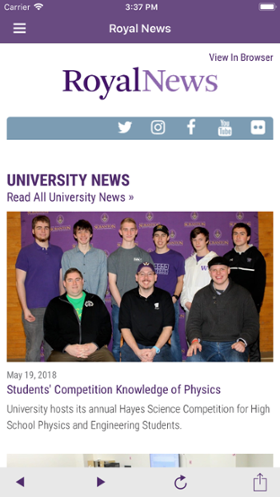 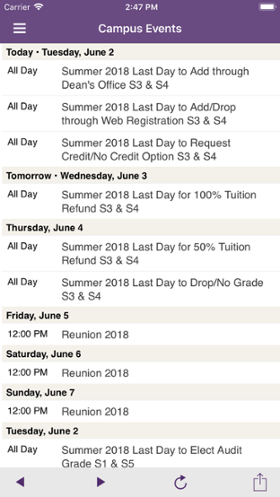 You can check out news and events to find out what’s happening, keep tabs on sports news and scores, and check your course schedule and grades. 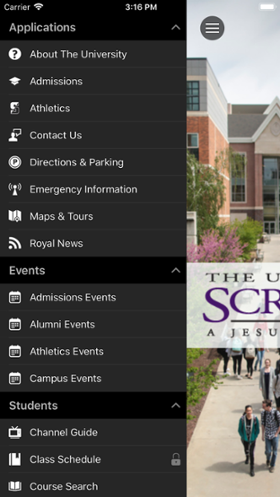 The latest version includes new features such as dining menus, laundry view, rec facilities hours, and more!